WHILE MOST of the tycoons who bankrolled candidates and political parties in the 2010 Presidential elections were curiously absent, the 2013 midterm elections still had high-roller donors who accounted for the bulk of the campaign donations made to the 12 winning senatorial candidates and their political parties. Only 2,368 donors – 2,174 persons and 194 corporations – contributed the P1.69 billion that went to the campaign purses of the 12 winning senatorial candidates and their political parties, according to the Statements of Election Contributions and Expenditures (SOCEs) submitted to the Commission on Elections (Comelec). Of the total contributors, only 421 comprise what could be called the “Millionaires Club” who gave P1 million to P4.9 million each. At the top rung of the money pyramid, however, is the “High Rollers Club” of only 90 donors. They contributed at least P5 million to at most P63.2 million to their favored candidates and political parties. In contrast, what might be called the “Taumbayan” category, or those who donated from P500 to less than a million constituted 78.4 percent of total donors. This large group, however, accounted for less than 13 percent of total donations, or only P223.9 million. This situation indicates that while elections are supposed to be an exercise in representative democracy, only a select few really bother to gamble – and gamble big – in those who offer themselves in elections. More importantly, this also means that those who run and win in the elections now tend to owe more and more to fewer and fewer people. Granting that the SOCEs filed by the winning senatorial candidates are accurate, it appears that only a handful of the 52,745,861 registered voters believed in their candidates enough to make a donation to the campaign. In fact, only 10 individual donors account for P315.8 M or 18.6 percent of the total contributions the winning senatorial candidates and their political parties received in May 2013. “A donation to a political campaign is really a bet on a candidate that you think is deserving of that position,” says Comelec Commissioner Luie Tito Guia. Unfortunately, he says, many Filipinos are averse to the idea of donating to a candidate’s political campaign. This leaves the door wide open for other political or economic interests to take over in the competition to be heard and represented. For purposes of this research, and to better illustrate the profile of those who gave money and services to the campaign, PCIJ classified the individuals who donated P1 million up to P4.9 million under The Millionaires’ Club, while the High Rollers gave P5 million and higher. The Taumbayan category is composed of those who gave less than a million. Interestingly, the Millionaires’ Club, or those who gave from P1 million to P4.9 million, makes up 17 percent or 421 of the total donors. This small percentage — only around one out of every six donors — gave 39.7 percent or P671.4 million of all the donations to the political parties and the winning candidates. The even more elite group of High Rollers, or those who could afford to give P5 million or more, shows the disparity in even starker relief. The High Rollers are composed of 90 individuals or entities, or just 3.8 percent of the total donors. But this tiny group donated almost half or P795.2 million of the total amount given to the winners and their parties. In contrast, those in the Taumbayan category, or donors who could afford to give less than a million, account for eight out of every 10 campaign fund contributors, or 78.4 percent of the total. Yet this large group raised only P223.9 million, or roughly P13 out of every P100 donated in 2013. In contrast, the Taumbayan category, or those who could afford to give less than a million, account for 8 out of every 10 donors, or 78.4 percent of the total. Yet this large group raised only P223.9 million, or roughly P13 out of every P100 donated in 2013. Broken down by individual donations to candidates, the numbers show the disparity between the millionaires who gave so much, and the ordinary folk who gave so little. 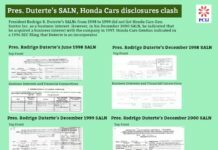 • Of the 79 individuals who contributed P80 million to the campaign of Joseph Victor Ejercito, seven belonged to the Millionaires’ Club or the High Rollers, while 72 belonged to the Taumbayan. Yet, these seven donors, while constituting just eight percent of the number of individual donors to Ejercito, gave eight out of every 10 pesos (82 percent) of the contributions. • Of the 58 individual donors who gave P81.6 million to the campaign of Francis Escudero, 32 gave a million pesos or more, making up 55 percent or more than half of his donors. This 55 percent gave up to nine out of every 10 pesos (91 percent) or P 74.2 million of his total individual donations. • Of the 58 individuals who gave P125.4 million to the campaign of Paolo Benigno A. Aquino IV’s campaign, 39 donors or 67 percent gave P1 million or higher. These members of the Millionaires’ Club and the High Rollers donated 88.6 percent of the funds reported to have been received by Aquino. • Of the 35 individual donors who gave P104.5 million to the campaign of Grace Poe-Llamanzares, 32 (or 91 percent) belonged to the Millionaires’ Club and the High Rollers, with their donations totaling P99.2 million or 95 percent of her kitty. • Alan Peter Cayetano’s SOCE recorded 79 donors, with 51 or 64 percent belonging to the Millionaires’ Club or the High Rollers. These 51 donors gave his campaign a total of P110.5 million, or roughly 92 percent of the total donations he received. • For the campaign of Aquilino Pimentel III, 130 individual donors gave a total of P54.8 million, 74 percent of which was donated by the Millionaires’ Club and the High Rollers, which constituted 17 percent of the donors. • Loren Legarda’s campaign benefitted from P42.1 million from 17 individual donors, with 13 of the donors, or 76 percent of them, giving P40.6 million or 96 percent of the donations. • Gregorio Honasan II received P23 million in donations from 29 contributors, 44 percent of them belonging to the Millionaires’ Club, which gave 91 percent, or P21 million of the total. • Antonio Trillanes IV received P29.5 million in contributions from 73 donors, only 8 of whom belong to the Millionaires’ Club. The Club, making up 11 percent of the Trillanes’s donors, gave 40 percent of the total donations. • For Juan Edgardo Angara, there were 66 individual donors who gave P92 million. Some 28 percent of the donors belonged to the Millionaires’ Club and the High Rollers, giving 90 percent or P84 million of the total. • Interestingly, there was only one individual donor who gave to the campaign of Cynthia Villar, in the person of Alex Syfu, who gave P2 million. • In contrast, 1,225 individuals donated a total of P136.87 million to the campaign of Nancy Binay. Of this number, only 30 individuals gave a million pesos or more, or just two percent of the donors. These 30 individuals gave a total of P58.5 million to the campaign, meaning Binay’s millionaires donated 42 percent of her campaign kitty. Binay’s profile of donors is also of note because of the number of small donations that were recorded in her SOCE, especially when compared to those of other senatorial candidates. 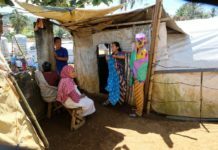 While she received one donation of P7 million and two donations of P5 million, she also claimed in her SOCE to have received 25 donations of P500 each, as well as 63 donations of P1,000 each. By comparison, the smallest donation received by Angara and Pimentel were P5,000 each while the smallest received by Aquino and Cayetano were P10,000 each. The smallest donation received by Ejercito was P50,000. Senator Grace Poe-Llamanzares’s smallest donation, meanwhile, was P1,000. What the numbers show is the preponderance of large donations from the Millionaires’ Club and the High Rollers to the candidates – in some cases constituting up to 100 percent of the total donations received by some of the candidates. While the amounts of money and services donated are not in any way illegal as the country does not have a donation cap, it illustrates how much of the campaign kitties spent by the candidates in the last elections have been cornered by the big donors. In the United States, the contribution limit set by the U.S. Federal Election Commission in 2013 for individual donations was only $2,600, or roughly P106,600. Furthermore, the U.S. Federal Elections Campaign Act prohibits donations by corporations, labor organizations, federal government contractors, and foreign nationals. In the Philippines, individuals may donate to either the candidates or the political parties, according to the same election rules. The major political parties that manage to get bigger numbers of their candidates elected tend to attract bigger donations. A total of 398 individual donors contributed P634,615,606 to the national political parties in May 2013. At least 148 of them, or 69 percent of the donors, donated P1 million and above, earning them a berth in either the Millionaires’ Club or the High Rollers Club. These elite groups gave 96.5 percent of the total contributions to the political parties. But the bigger political parties got bigger amounts of donations, and mostly from donors who gave P1 million or more. The donations to the Pwersa ng Masang Pilipino (PMP) of deposed President and now Manila Mayor Joseph ‘Erap’ Estrada – who has projected a pro-poor image of himself since his days as a movie action star – came entirely from donors belonging to the Millionaires’ Club and the High Rollers. The P40.5 million in individual donations to the PMP came from just 15 donors who each gave P1 million or more to Estrada’s party. Not to be outdone, 99 percent of the individual donations to the Nationalist People’s Coalition (NPC) of businessman Eduardo ‘Danding’ Cojuangco Jr. came from the Millionaires’ Club and the High Rollers, too. In fact, NPC had only four individual donors who contributed a total of P31.6 million of the P31.8 million that the party received in May 2013. The opposition United Nationalist Alliance (UNA), meanwhile, received P72.75 million in donations from 57 contributors. Twenty-two donors who gave P1 million or more account for 97.5 percent of the total contributions. The administration Liberal Party was not far behind, with 71 individual donors giving a total of P177.2 million to it. Of these 71 donors, 51 gave P1 million or more each, or a total P169.7 million – 95 percent of the total donations received by the party. The Laban ng Demokratikong Pilipino (LDP), allied with the administration in the last elections, received P34.79 million from 31 donors, with 12 donors giving at least P1 million each or 91 percent of the total donation. In stark contrast, former President Gloria Macapagal Arroyo’s Lakas-Christian Muslim Democrats (Lakas-CMD) party, which used to lord it over Congress when she was still in power, said it received only P395,000 in donations, a startling claim for a party that held the reins of power for nine years. Interestingly, too, the party’s SOCE identified the donors only as “Lakas-CMD members” instead of identifying them by name as required by law. Other political parties also reported little or no donations: the Kilusang Bagong Lipunan, the old party of deposed President Ferdinand Marcos, said it got no donations at all, as did the PDP-Laban and the Social Justice Society. The Partido Lakas ng Masa said it received P820,000 from senatorial candidate Ricardo Penson (who ran as an independent candidate), while the Centrist Democratic Party and Ang Kapatiran claimed they received only P305,000 and P290,000 respectively. When it comes to individual donors, by far the biggest donation made by a private person to any of the senatorial candidates or parties was by Manuel Villar Jr. to his Nacionalista Party: P63.2 million. Villar also contributed an additional P10 million to the campaign of Alan Peter Cayetano. • Former Senator Edgardo J. Angara, who donated P40 million to the campaign of his son Juan Edgardo ‘Sonny’ M. Angara. • Alice G. Eduardo, who donated P25 million to the NPC. Eduardo is also head and chief executive officer of the construction firm Sta. Elena Development Corporation. • Jorge I. Araneta, chairperson of the Araneta Group of Companies, who gave P25 million to the Liberal Party. • Plastics tycoon William T. Gatchalian, who contributed P20.9 million to the campaign of UNA. Gatchalian also contributed another P10 million to Estrada’s PMP party. • Jose Go Ranola, of Legazpi Premium Development Corp. based in Albay, who donated P20 million to the campaign of Joseph Victor Gomez Ejercito. His mother Guia Gomez also contributed another P20 million to Ejercito’s campaign. • Judy Araneta Roxas, mother of Liberal Party stalwart Manuel ‘Mar’ Roxas II, who gave P20 million to the Liberal Party. • Business tycoon Iñigo Urquijo Zobel, who donated P15 million to the campaign of JV Ejercito. Zobel is also the president of AirPhil Express, a budget airline company. Grace Poe-Llamanzares also received P18.2 million from the movie production outfit of her late father Fernando Poe Jr., FPJ Productions. Another P17.3 million came from her mother Jesusa Poe, also known as Susan Roces. In addition, Poe-Llamanzares received P10 million each from businessmen John Paul Ang, Edwin Lee Luy, Michael de Leon Escaler, and Thomas Ang Tan. Paolo Benigno ‘Bam’ Aguirre Aquino received donations of P10 million each from his father Paul Aquino, uncle Agapito Aquino, and mother-in-law Consuelo Gomez. Francis Escudero received P10 million each from Reynaldo Manalansan, president of Tokwing Construction, and Jose Rizalino Acuzar, head of New San Jose Builders. UNA received P10 million each from businessmen Eric Ramos Tagle and Juan Tan Ng. 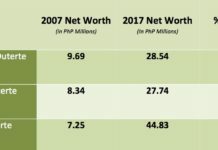 Curiously, none of the top 10 high rollers figure in the top 500 individual taxpayers of the Bureau of Internal Revenue (BIR) from 2008 up to 2011, the latest list available. Commissioner Christian Robert Lim, head of Comelec’s Campaign Finance Unit Steering Committee, says the fact that big donors have cornered the list of campaign contributions is just a reflection of the kind of patronage politics the country has – that voters do not see politicians as needing their support. Rather, they see politicians as a source of benefits. The ideal, she says, is to democratize the contributions by broadening the support base. For example, she says, one of the techniques used by U.S. President Barack Obama when he ran for reelection was to raise money from ordinary Americans through mobile phone credits. U.S. citizens could simply transfer or donate money to his campaign using their cellphones. Given the consistent trend of campaign financing in Philippine elections, that idea would almost seem preposterous – even laughable – to Filipinos who, ironically, are already quite familiar with the concept of the pasa-load. Indeed, it’s hard to imagine having a local candidate ask his supporters for cellphone load – not if the candidate is seen more as a patron and a source of largesse, than a candidate who needs popular and financial support.